A Bullfrog hot tub may be a welcome relaxation spot in the backyard, particularly on cooler fall evenings. Regulating the temperature of a Bullfrog hot tub is important to protect your safety and get the most from the tub. Set the tub to a comfortable temperature and choose the proper maintenance setting to suit your needs for a soothing place to hide out and relax. Adjust the temperature on the Bullfrog hot tub from the control panel. Press the "Warm" or "Cool" button on the control panel to see the current setting. Press "Warm" to increase the temperature. The temperature setting increases by one degree each time you press the button. After three seconds without pressing a button, the display returns to the current temperature. The hot tub's water pump system has an integrated heater that maintains the water temperature while filtering the water. 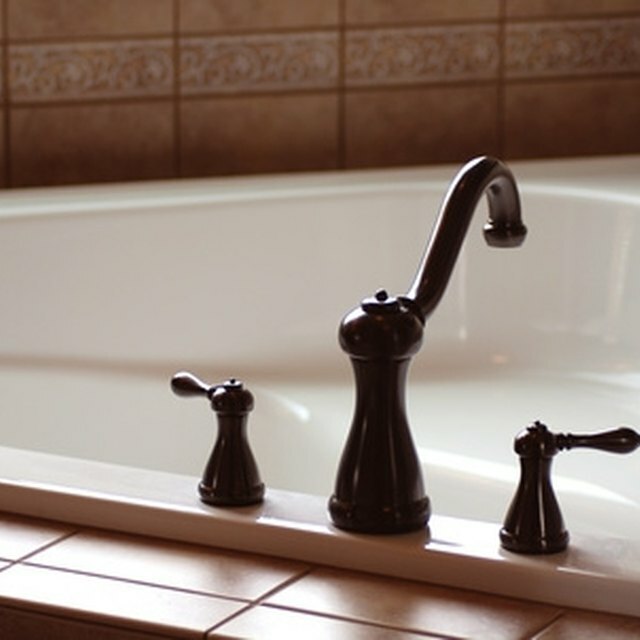 The standard operating mode monitors the temperature of the water and adjusts it as necessary every 30 minutes, keeping your tub at a constant temperature for regular use. The economy setting uses less electricity, monitoring and adjusting the temperature only during filtration cycles, typically twice a day. This can result in temperature variances of a few degrees, particularly in colder weather. Sleep mode maintains the water temperature 20 degrees lower than the programmed setting, reserving more electricity when you do not plan to use the tub for some time. Standby mode completely disables the functions, stopping the filtration cycles, heating and temperature monitoring. The default temperature on Bullfrog hot tubs is 100 degrees Fahrenheit. When you install a new Bullfrog tub, the system automatically heats the water to 100 degrees. You can program the tub to maintain a water temperature ranging from 80 to 104 degrees based on personal preference. Hot tubs should never be heated above 104 degrees Fahrenheit. Your body can overheat if the hot tub temperature is set too high. Pregnant women should not use a hot tub, as the increased body temperature is unhealthy for the pregnancy. Hot tub temperatures should be heavily moderated with children, and the tub should be secured to protect children from drowning.